The grappling hook from Just Cause has made its way to GTA 5, thanks to the brilliance of the modding community. 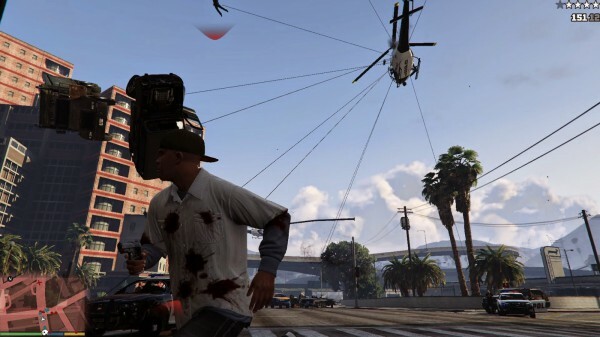 The thought of having a grappling hook in a GTA game was undoubtedly shared by many GTA players. Thankfully, modders have made it a reality. The mod is made by JulioNIB, and you can download it from here. It will let you attach the hook to pretty much everything, from buildings and cars, to random NPCs. You can even chain them together, and to yourself.